'Tis the season for gift giving which causes both joy and stress (everyone needs the perfect gift, right?). Maybe you have a friend who's a huge animal lover? And not just cats and dogs - I'm talkin' all kinds of animals! Whether your gal is obsessed with prickly pals or likes to make her own roaring statement when entering a room, make sure you check out what the wild world of animal (gifts) has to offer. How about a quirky hedgehog measuring cup set for the holiday season? Like a hedgehog, this humble kitchen appliance does the job while looking adorable doing it. This is the perfect gift for your baking enthusiast friends who enjoy a cute critter with a big attitude - because this quill baby is anything but your run of the mill animal. Teatime is a time for peace and tranquility. 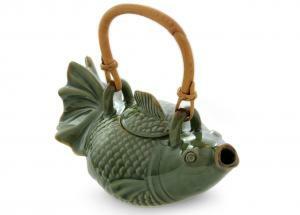 And what's more calming than a hand-crafted ceramic koi teapot? Representing good fortune, the mystical koi fish is the perfect gift for those looking for a little extra luck in the New Year. Tying the Indonesian theme together is an earthy rattan handle to shield your friend's hand from the heat without sacrificing the perfect tea steep temperature. It's all about the balance. Upgrade your friend's love for giraffes with these sweet little ear buds. Forget those same old boring buds. These giraffe ear buds bring a little sass to a workout, personality to the office, and joy during downtime. This cost-efficient gift pairs well with your music-loving, animal-enthusiast friends. Pick some jams, and let these ducks do the rest! Get otter here with all of this soft and cuddly adorableness! 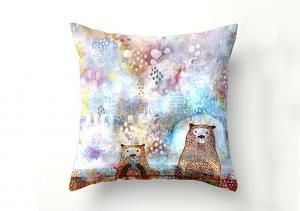 This multi-colored sea otter pillow is not only fantastic for otter lovers, but also for a lover of whimsical home embellishments. Your friend can keep it on the couch for all to see, or snuggle with it in the midnight hours. And did I mention this pillow is hand-stitched with love? Although the savannah might not have the weather to be sporting a scarf during daytime hours, this fashionable giraffe infinity scarf brings a touch of this rolling grassland to any exotic animal lover's wardrobe. This scarf is a conversation starter as well as a fun accessory to top of a casual look. It's the perfect quirky gift! What about your wild animal-loving friend who loves to get her sweat on? These fierce tiger compression leggings will do for when she goes into beast mode. With these breathable yoga pants she can comfortably her show off her wild side and make a powerful statement wherever she wanders! Some people have a thing for animals that roamed the planet millions of years ago. Take them back in time when the mighty reptile was king with these adorable dinosaur planters! Pick a small succulent or houseplant and add it to their nifty gifty. Whether your friend likes pink, green, or even metallics - there's a color in stock that'll surely leave a big impression just like the real deal did eons ago. Life under the sea isn't for everyone (or any humans really) because there are so many hazards (hello… stingrays, jellyfish, and sharks). But that doesn't stop your aquatic-loving buddy from obsessing over the deep, blue sea. 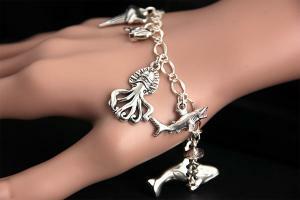 Well, this sea predator charm bracelet will allow your friend to have the ocean's most misunderstood (and coolest) animals at their fingertips, when they aren't on a beach trip sans the biting, stinging, and suctioning. Maybe the seaweed is always greener in somebody else's lake after all. Do you have a gal pal who loves a touch of the exoctic in her home décor? Help her keep her safari theme going strong with a zebra tufted wool rug. Honestly, is there anything that makes a louder statement than a zebra? This rug is hand-hooked for a homemade feel while also full and soft for comfort. Who says exotic prints can't create an intimate feel? 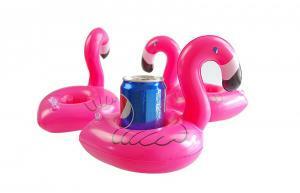 Flamingoes scream summer fun, and these inflatable floating flamingo coasters are no exception! If you have a friend who loves fun in the sun, this is the quirky little gift for her! Once she inflates these floating coasters and adds her favorite drink, it's pool time all the time - and she won't even have to leave the water. Not to mention these little guys add a tropical feel to any outdoor oasis. Plus, this pack of 12 means every friend has a place to rest their drink come pool party time! Gift giving doesn't have to be harder than solving a Rubik's Cube - especially for the animal-loving folk. 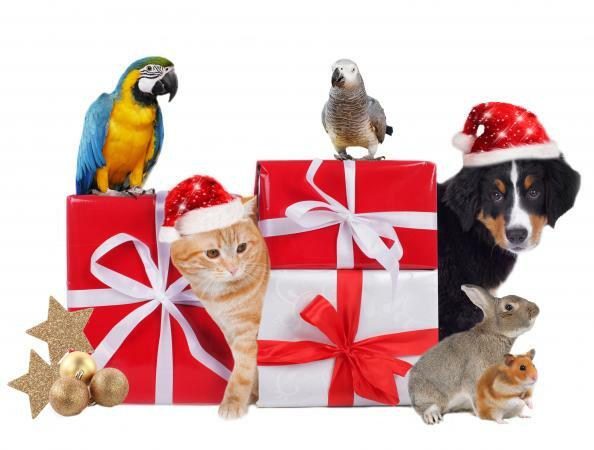 When you're looking to buy some holiday cheer for your friends, knock your animal whisperer buddy off your list quicker than Santa slides down a chimney by keying into their favorite fur babies (or feather, quill… and even scale babies). The best part is you always have a go-to gift idea every year.